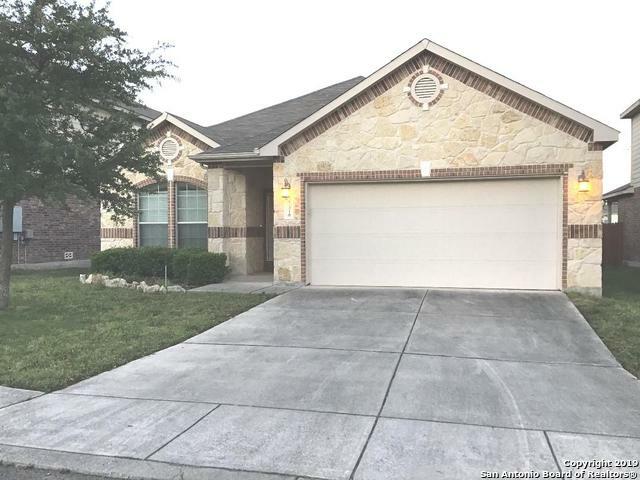 All SPRINGS OF SILVERADO HILL homes currently listed for sale in San Antonio as of 04/22/2019 are shown below. You can change the search criteria at any time by pressing the 'Change Search' button below. "Meticulous 4/2.5/w study 2 story Home located in Springs of Silverado Hills! This lightly lived in home has Tile throughout most of the lower level. The Upgraded kitchen has Granite Counter Tops, Stainless Steel Appliances, 42 Cabinets, Tile Back splash & a large Island & is open to the Family Room. Master Bedroom is down and has a large walk in closet. Upstairs you find a large Game Room with 3 Bedrooms w spacious closets. Step outside to a stained concrete covered patio with a nicely manicured"
"This home is located in the preferred Springs of Silverado. Includes a large open floor plan, kitchen has upgraded double ovens, cooktop, breakfast bar. Formal dining room, huge living room with beautiful corner fireplace. Master suite includes large master bedroom. Master bath has double vanity, garden tub and glass shower. Office space could be easily converted to a fourth bedroom because it has wood floors and a separate closet. A must see !! Call Now!!!"